Hackers are concentrating their efforts on attacking applications in your website: 75% of cyber attacks are launched on shopping carts, forms, login pages, dynamic content etc. Web applications are accessible 24 hours a day, 7 days a week and control sensitive data such as customer details, credit card numbers and proprietary corporate data. Any defense at network security level will provide no protection against web application attacks since they are launched on port 80 - which has to remain open. In addition, web applications are often tailor-made, therefore tested less than off-the-shelf software, and are more likely to have undiscovered vulnerabilities. Manually auditing a website for vulnerabilities is virtually impossible - it needs to be done automatically and regularly. Acunetix WVS automatically checks your web applications for SQL Injection, XSS other web vulnerabilities. * Creates professional website security audit reports. Maui Security Scanner - Using Maui Security Scanner, web-site admins and IT-professionals can see whether their web site(s) are hackable or vulnerable to attacks. Identifying vulnerabilities such as SQL Injection and Cross-Site Scripting (XSS). ShadowSecurityScanner - Shadow Security Scanner (network vulnerability scanner) has earned the name of the fastest ? ?” and best performing ? ?” security scanner in its market sector, outperforming many famous brands. Infiltrator Network Security Scanner - Infiltrator is an easy to use, intuitive network security scanner that can quickly audit your network computers for vulnerabilities, exploits, and information enumerations. xSharez scanner - xSharez scanner is a multithreaded NetBIOS/SMB scanner designed for both network administrators and users interested in the network security issues. HttpTrafficGen - This is a HTTP traffic generator for testing web applications. You can specify the requests count and interval between two requests. The generated requests are sent to the specified URL. 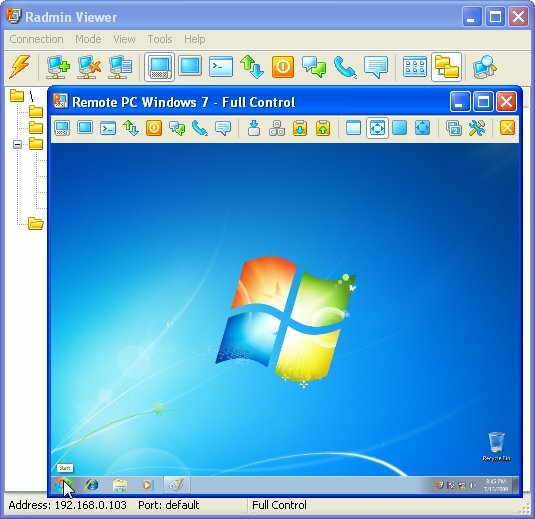 Proactive Security Auditor FE - A program to assist system administrators and ordinary users to keep their computers secure by performing an audit of Windows computers for installed security updates, and allowing to download and install missing patches from Microsoft web site. ServerMask - ServerMask obscures the identity of a Windows Web server by removing signs that you are running IIS. HTTP responses are camouflaged by ServerMask to combat hacker fingerprinting. ServerMask appliances also mask network TCP/IP signatures and provide IPS security. SecureCentral ScanFi Free Edition - ScanFi is a web-based vulnerability management software for detecting, assessing and remediating network vulnerabilities across heterogeneous networks. ScanFi discovers, scans, reports, and supports vulnerability remediation. FreePortScanner - Free Port Scanner is a small and fast port scanner for the Win32 platform. You can scan ports on fast machines in a few seconds and can perform scan on predefined port ranges.The tool is designed with a user-friendly interface and is easy to use. NetSendFaker - NetSendFaker allows you to send anonymous Net Send messages to anyone that is connected to the network. You can also emulate messages as if they were sent from other computer. The tool is designed with a user-friendly interface and is easy to use.